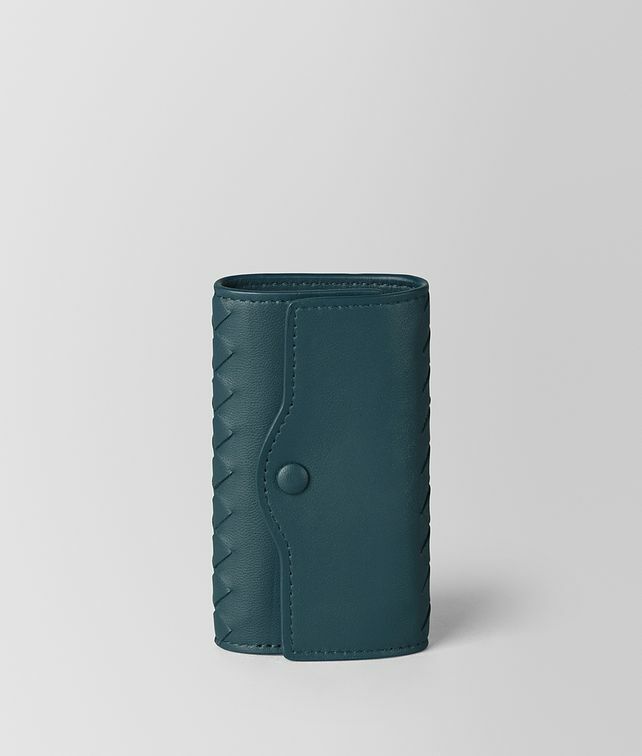 This compact nappa key case has a sleek tri-fold design, closed with a snap button and accented with intrecciato detailing. It features six brunito-finish metal loops. Width: 6.5 cm | 2.6"